Dr. Fujimoto graduated the medical school from Touro University California College of Osteopathic Medicine. He did his internship at Arrowhead Regional Medical Center and completed his residency program at University Of California-Irvine. A fellowship followed at Loma Linda University soon after that. He is specialized in Interventional Radiology and board certified in Vascular & Interventional Radiology. 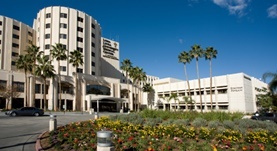 Dr. Fujimoto has been in practice for more than 6 years and is affiliated with Loma Linda University Medical Center. During his career, he has also contributed to 9 publications of medical interest. Dr. Scott Fujimoto has contributed to 3 publications. Motor and cognitive function evaluation following experimental traumatic brain injury. Fujimoto, S.T., Longhi, L., Saatman, K.E., Conte, V., Stocchetti, N., McIntosh, T.K. ; Neurosci Biobehav Rev. 2004 Jul. Differential effects of the anticonvulsant topiramate on neurobehavioral and histological outcomes following traumatic brain injury in rats. Hoover, R.C., Motta, M., Davis, J., Saatman, K.E., Fujimoto, S.T., Thompson, H.J., Stover, J.F., Dichter, M.A., Twyman, R., White, H.S., McIntosh, T.K. ; J Neurotrauma. 2004 May. Temporal window of vulnerability to repetitive experimental concussive brain injury. Longhi, L., Saatman, K. E., Fujimoto, S., Raghupathi, R., Meaney, D. F., Davis, J., McMillan B S, A., Conte, V., Laurer, H. L., Stein, S., Stocchetti, N., McIntosh, T. K.; Neurosurgery. 2005 Feb.